7/13/2010 -Today you said you love me. Without preamble or question, today you said you love me. My heart leapt out of my chest and my breath stopped in my throat. All I did was build a fort and my reward was a unsolicited statement of affection. but I wanted to swoop you up and hug you till next year. I have come so far just to be near you. We have all been through so much, just to start over. And still have mountains to climb before we are whole. I have found my path again, of that I am sure, I can finally feel the ground beneath my feet. You have brought me down to earth and lifted me to the heavens with three little words. I have said before that no little girl dreams of becoming a stepmother. I now realize how sad that is. For the reward of love, true love is immeasurable. Not the kind of love we see in movies but that kind that lives in happy homes and behind children’s eyes. That kind of love is worth anything and everything all at once. with the love of a boy who means the world to me. 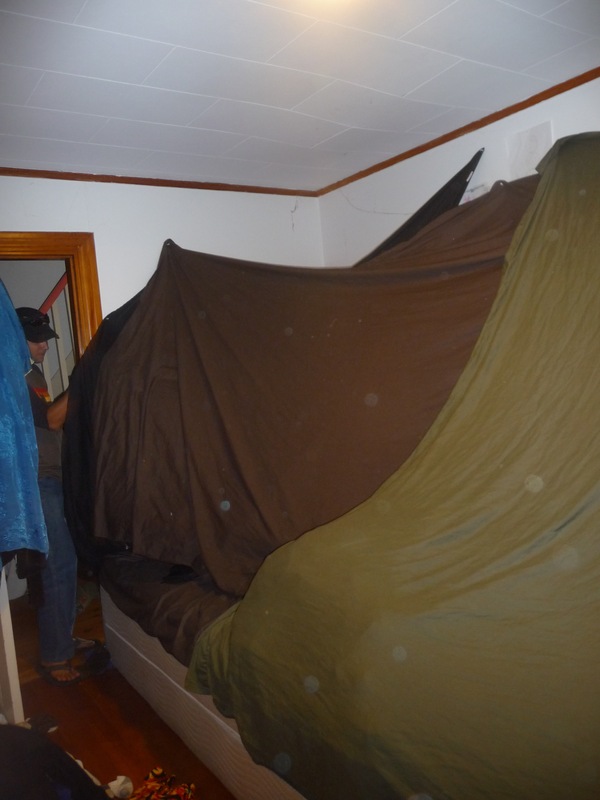 It was a pretty cool fort. Took up all our bed. It is amazing what sheets and thumbtacks can do!